A rendering of the future park from DTE. With Detroit bankrupt and under the authority of a state-appointed emergency manager, all options for the city’s future are on the table. But not all news out of the infamously depopulated city is about cutting back. A new park downtown broke ground this week, and plans surfaced for a massive urban forest on Detroit’s southeast side. 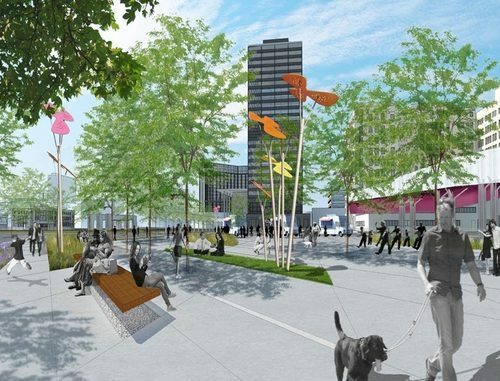 Construction began this week on a downtown park, the future site of Mini Campus Martius. DTE Energy has cleared a parking lot and two small buildings on a roughly triangular patch of land near its “West Downtown” headquarters. Meanwhile, after five years of preparation, a plan to transform 140 acres of vacant land on the city’s southeast side into an urban forest got approval from the state and Emergency Manager Kevyn Orr. Hantz Farms, a venture of financier John Hantz, will buy the land for more than $500,000, clear 50 abandoned structures, maintain the property and plant 15,000 trees in the coming years. Clearing the land could cost another $600,000. That plan begins with building trust among community members, before Hantz gets to planting apple orchards and shrubbery. 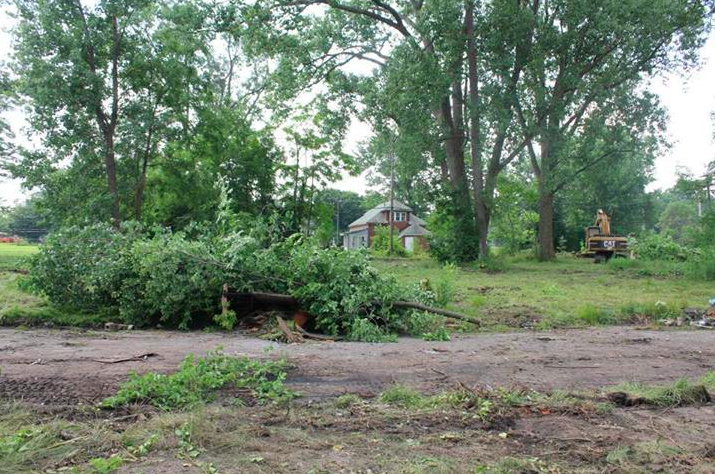 Score said the transition from blight to burgeoning urban forest should take four years.